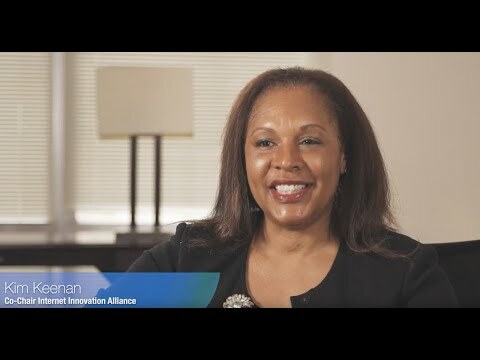 Kim Keenan is Co-Chairwoman of the Internet Innovation Alliance. She joined Odyssey Media as the Executive Vice President for Marketing and Research on January 1, 2018. Odyssey Media is an international media and marketing company that connects influential multicultural women to world-class business programs and high-impact networking events. She formerly served as the President and CEO of Multicultural Media, Telecom & Internet Council (MMTC). At MMTC, Keenan created the Capital Pitch Competition to provide seed money to multicultural entrepreneurs in technology, as well as a College Tech Prep Summit that provides college students with career preparation for digital and technical careers, in addition to an introduction to industry internships. Keenan also launched a “Net Equality Tour” to educate the public on telecommunications issues impacting daily life. Finally, she was instrumental in creating a partnership with the National Urban League and the Wireless Infrastructure Association to develop a telecommunications apprenticeship program for the Department of Labor. Prior to taking the helm at MMTC, Keenan served as General Counsel and Secretary of the NAACP, the oldest, the largest, and most recognized grassroots civil rights organization in the world. She is the longest-serving female General Counsel in the 100+ year history of the NAACP. She solicited over $1M in pro bono legal services for the NAACP during her tenure. She was responsible for the national litigation strategy of the organization including numerous voting rights cases, a First Amendment case (NAACP v. Philadelphia), and a national redistricting program for which she secured funding from the Ford Foundation. During her tenure, Keenan also served as the NAACP executive in charge of the Hollywood Bureau and executive who produced the Image Awards. Keenan has also served as principal of her own law firm and in the litigation practices of two nationally recognized law firms. She is a Senior Adjunct Professor at the George Washington University Law School. 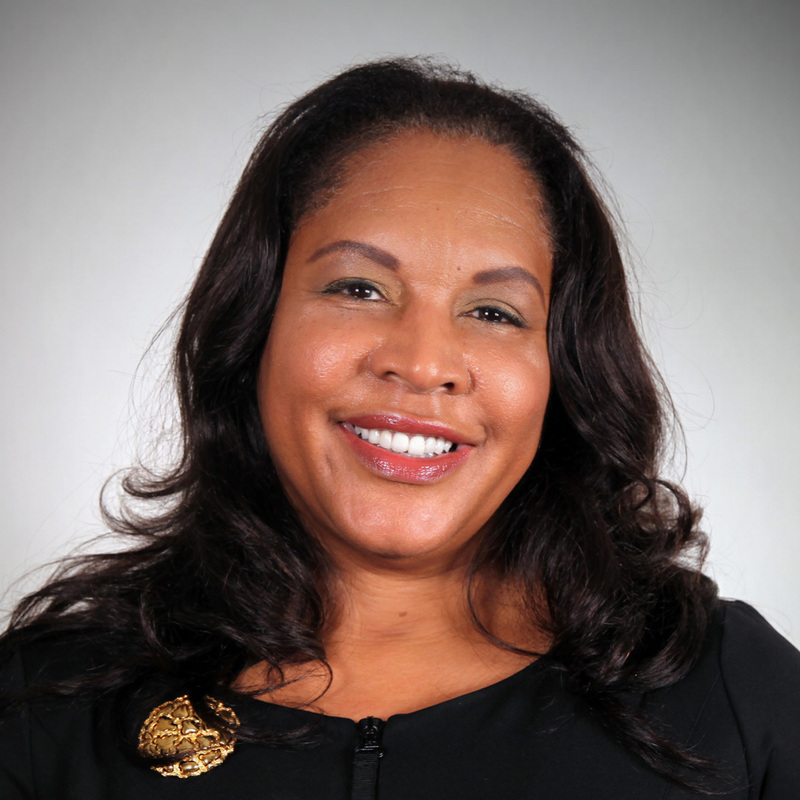 She is a past president of the 100,000+ member District of Columbia Bar where she instituted the Leadership Committee that is responsible for creating the John Payton Leadership Academy to train the next generation of bar leaders. She also served as President of the National Bar Association, the largest coalition of African-American lawyers, judges, law professors, and law students in the United States where she led the largest coalition of African-American lawyers engaged in election protection throughout the nation and created the Cora T. Walker Corporate Partnership Award. She is a nationally recognized speaker and the recipient of numerous awards including the Media Executive of the Year from Vote It Loud, the NAACP Medgar Evers Award for Excellence, the Charging Buffalo Award from the New York Society, and the Distinguished Civil Rights Advocate Award from the Lawyers Committee for Civil Rights Under Law. Protecting consumer privacy online and consumer data is not a flash in the pan. It will require constant vigilance — by the FTC, by all companies in the internet ecosystem and, of course, by consumers.